With video being such an integral part of events we stock a large amount of AV equipment hire including plasma screens, projectors, projector screens and video playback. We also offer pre and post-event video production facilities as well as event filming. HD video technology is increasingly being used for conferencing and media events. 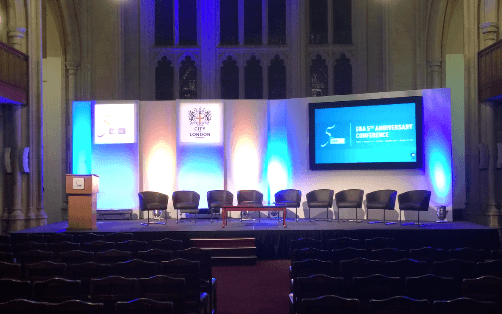 Utilising our HD plasma screens for hire, HD projection for hire and HD switchers for hire, the crispest of images can be produced and your or your client’s message clearly portrayed. Screens can be built into your stage set, flown from truss or produce full 360 degree images using the latest in AV Equipment Hire. Pop up cinema areas can be achieved during daylight hours using high powered projectors in black out tents.